The firebox is an essential part of any fireplace, and replacing is difficult -- but it's possible. For the most part, fireboxes are cubic chambers that house the wood (or other solid fuel source) and the flames of the fire. Many fireboxes are made with masonry, even in fireplaces with wooden facades, because stone and brick withstand high amounts of heat. 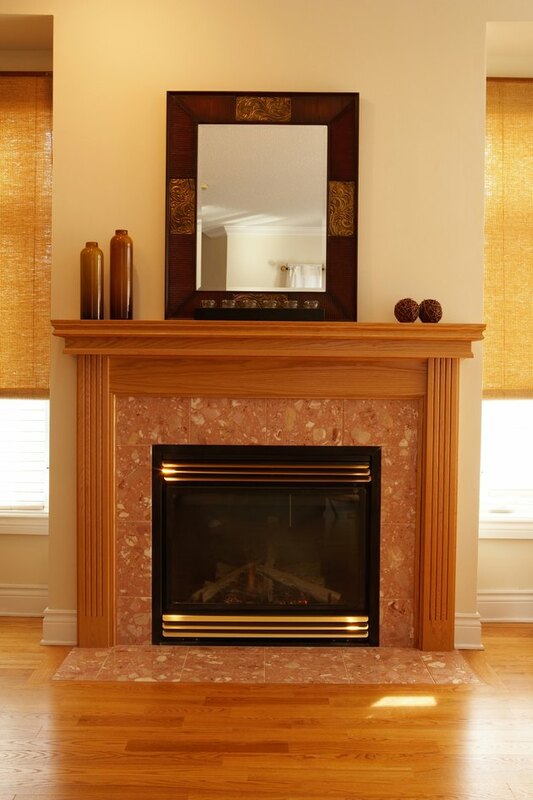 Many fireboxes are lined with metal fireplace inserts that provide dependable fireproofing. Replacing a firebox can be a challenge, but it is much more affordable than replacing an entire fireplace. Replacing a firebox may extend the life of your fireplace. Measure the firebox for height, width and depth. Record these measurements with pen on paper. Examine your existing firebox to find out what it's made of. The existing material will have a bearing on how you replace the firebox. Look for cracks in the firebox, which are indicators that it faces replacement. If the firebox is made with stone and mortar, gently scrape the walls with a trowel. If the mortar crumbles easily, it's time to replace the firebox. Brace the existing firebox with 2-by-4s. Place one on each side of the firebox, jamming one end into the ceiling of the box and allowing the other end to press into the floor. Rake out the existing mortar in the firebox with a hand rake and discard it. Loosen mortar that does not crumble away easily with a hammer and crowbar. Smash stubborn mortar with the hammer to break it up, then pry it away with the crowbar. Working on one section of the firebox at a time, remove the old bricks or stones and put new stonework in its place. Use heat-resistant mortar, known as fireclay, to seal gaps between bricks.